Apparently, MUET Test is just around the corner, so how about I give it a short attention. Today, I will write about a so-so hot topic which is Prevention Is Better Than Cure. Maybe it can also help us in any way. The question asks for at least 350 words, so let's give it a try. 'Prevention is better than cure' is a useful adage to live by. The proverb suggests that it is better to live a healthy lifestyle than to deal with health problems later in life. However, the saying can just as easily be applied to any misfortune, including accident and financial disasters. Therefore, many mishaps can be avoided if we take the necessary steps to prevent them. Firstly, when we are young and healthy, we give little thought to the increasing likelihood of illness as we age. It is tempting to indulge in bad habits that have long-term consequences. Too much fast food, insufficient sleep and lack of exercise are the common vices. However, these things can lead to health issues such as high blood pressure and diabetes. These health issues cause suffering, and treating them may be difficult. Thus, it is better to adopt a healthy lifestyle when we are young than to manage the health issues brought about by bad habits. Secondly, we always hear about many pathetic accidents but in fact accidents are preventable, road accident in particular. An accident can be horrific, and prevention is definitely better than dealing with the aftermath of an accident. Many road accidents are caused by careless road user obviously. It is up to the authorities to ensure that road users are responsible. Impose penalties on traffic offenders and revoke the licenses of repeat offenders might be the best option to be done. Road user should be constantly aware of hazards and should not drive when they are tired or sleepy. These precautions can definitely prevent accidents. Lastly, financial disasters can occur for many reasons, but by planning ahead we may mitigate any potential calamity. Through financial planning and good money management, we can build up a buffer so that we are able to deal with any emergencies that arise. This involves a fair amount of self-discipline to spend within our limit. Failure to do so may result in bankruptcy when unforeseen situations arise. Poor money management may result in debt or you might be forced by yourself to sell possessions to make ends meet. Therefore, prevention is better than cure when it comes to finances. 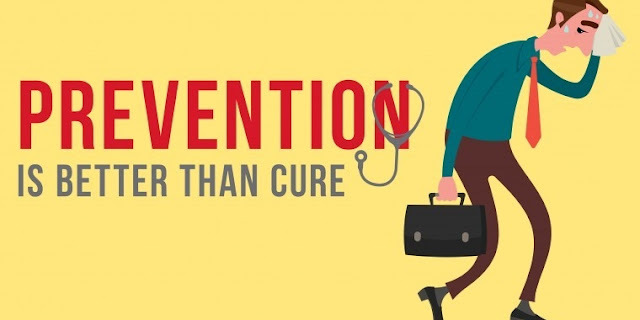 In the nutshell, prevention is better than cure in many aspects of our lives from health to finances. Just so we know, life is unpredictable. Taking measures to prevent a misfortune while we can is better than dealing with the misfortune when it hits hard. Here you go, some brainstormed ideas for the MUET preparation which is tomorrow, this Saturday!!!! But I have literally started my revision just now. Just pray for the best tho. Below I have listed out some of the unusual words (bold words) that I use in there, just to ease your comprehension. Good luck amer! Do your best! learned new words with this so thanks! all the best for MUET! Awesome post! all the best Amer! I am that person who does not know how to choose a good gift :D T___T unfortunately. I hate writing an essay either its in english or malay. yet this is so good to me. haha. Wish you all the best btw. Genuinely love your blog, so I hit the button follow! wish a best good luck for your test Amer.. Btw, reading your English can enrich my vocabularies.